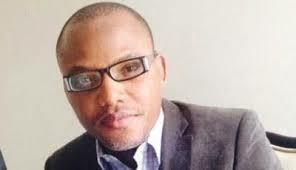 The leader of the Indigenous People of Biafra (IPOB), Director of Radio Biafra and Biafra Television – Nnamdi Kanu, a Prisoner of Conscience, will be meeting with the federal government of Nigeria led by President Muhammadu Buhari today being Wednesday, 5th October, 2016 in the Community Court of Justice of the Economic Community of West African States, ECOWAS in Abuja. Following series of alleged judicial misconduct from the Nigerian court, presided over by John Tsoho, who just withdrew from Nnamdi Kanu’s case, and having lost confidence in the ability of same court to do the needful, the legal team of Kanu filed a suit against the Nigerian state at the ECOWAS court of justice in May 2015, for gross misconduct and violation of his human right and court orders, stating that he should be released unconditionally. Despite meeting the bail conditions set, the Nigeria’s Department of State Security (DSS) have violated such orders and failed to release Nnamdi Kanu. It was against these backdrops and more that the defense counsels to Kanu (Barr. Ejiofor) took the initiative to file an application to secure his bail at the ECOWAS Court. It could also be recalled that the commander in chief of the Federal Republic of Nigeria “President Buhari, displayed his ignorance in the most absurd manner by instructing ECOWAS court not to hear Kanu’s case, also vowing that Kanu would not be released due to what he termed as “severity of offence committed”, while forgetting that there is a limit to the power he wields as a president in Nigeria. Since almost a year ago he was kidnapped to be killed by DSS, until IPOB raised alarm, the Nigerian government is yet to find him guilty of any crime; despite numerous smear campaign and judicial manipulation, using John Tsoho as a willing tool, Kanu like a man who came to equity with clean hands was found too innocent to condemn; hence the radical approach to systematically assassinate him in prison using various mechanism, and thus prompting his lawyers to initiate an application for bail at the Ecowas court in order to secure his life. Nnamdi Kanu is a freedom fighter championing the cause of the restoration of Biafra, following the rules as obtainable under the U.N charter, and as adopted by the African Union (A.U) in which Nigeria is a member. It is preposterous that same body that instituted this law of self-determination have decided to keep silent under the present circumstances, triggering one to question the potency and virility of such laws. Nevertheless, we are urging all Biafrans, friends of Biafra, and lovers of freedom, to continue to stand in solidarity with our supreme leader, Nnamdi Kanu as his case comes up on that day. We the Indigenous People of Biafra (IPOB) are hopeful that Nnamdi Kanu will get justice at the ECOWAS Court on the 5th of October. We look forward to celebrating the victory of light over darkness, the group added.